19 "New" Uses for Apple Peels that Are Sure to Surprise You! This post may contain affiliate or referral links that help keep this site running. For more information about this, please see our disclosure policy. I love finding ways to reuse household waste and ways to upcycle. It is one of the simplest ways to save money without really trying. Household waste is a huge culprit of wasted money so when you find a new way to use something, you’re keeping yourself from having to spend money elsewhere. Apple peels may be one of those things that you immediately go to toss since the uses for apple peels aren’t always obvious, but once you are in the habit of saving them and using them, I am positive you’ll wonder why you waited so long to start using apple peels for more than just trash! If you’re new to upcycling items, you’ll want to start with a small list of things you can reuse to save money. Starting small will give you the chance to get used to not throwing as much away before you really jump into the fire pit so to speak. These uses for apple scraps are all super easy to do. The only issues you may have is teaching yourself to keep them instead of automatically throwing them away. As I said earlier, the simplest way to teach yourself this is by starting small. You could look at new uses for empty milk jugs. There’s also quite a few new ways to use empty bottles, new ways to use newspaper and new ways to use old towels. Once you master though, you can learn new ways to use old sheets and move onto things like new ways to use Fels-Naptha soap. Every time you find a new use for something you save yourself money. If your goal is to save as much money as possible, learning to reuse is a big step in the right direction. I’ll be totally honest and admit that even I didn’t know there were this many uses for apple peels. Sure, I knew about a few, but I was rather surprised at how many there are. I can’t wait to try all of these and I’m sure that both you and I will love all of them! Have you ever had apple scrap jelly? If not, you’re missing out! Apple scrap jelly is sweet and delicious for breakfast or a snack! All you need is apple peels, pectin and a few other ingredients. Oh, and an amazing apple scrap jelly recipe, of course! There are a lot of ways to use apple cider vinegar, but buying it can get expensive sometimes. Making homemade apple cider vinegar is a far cheaper option and probably my favorite of this entire list of uses for apple peels. It does take a bit of time for your ACV to be ready to drink so make sure that you buy organic apple cider vinegar with the Mother to carry you over if you take it daily. Do you love the smell of apple pie? If so, why not use your apple peels to make a homemade potpourri? You would follow the same directions in our homemade fall potpourri tutorial except you would use your apple peels and cinnamon sticks instead of what is listed. It’s super simple to make and will make your entire home smell like an apple cinnamon candle! I love apple cider in the fall so this is one of my favorite uses for apple peels ever! Grab a bucket, your apple peels and make this homemade apple cider recipe! It takes around 2 weeks for it to be ready to drink but once it is, it tastes amazing! If you’re trying to build a garden on a budget, you’ll want to make sure that you have a great organic compost recipe. Luckily, one of the many uses for apple peels is to add them to your compost pile. They will help you have a much richer fertilizer when your compost is done. Want a yummy snack? Try this use for apple peels! Add your apple peels to a mixing bowl and toss with melted butter and cinnamon. Spread the mixture onto a non-stick cookie sheet and roast in the oven. Voila! You’ve got a yummy snack! Apples are naturally high in pectin so if you do a lot of home canning which makes apple peels fantastic for making a homemade pectin recipe. Making it isn’t as hard as it might sound and will save you quite a bit when you need pectin for your next jelly recipe. I love a warm glass of tea in the evening and one of my new favorite uses for apple peels is to use them to make homemade apple tea. It’s super easy to make! All you need to do is add apple peels and a cinnamon stick to your tea cup. Cover with boiling water and allow it to steep for a few. Sip and enjoy! I like to use an electric kettle to boil the water since it gets it much hotter in a much shorter time than I can get on the stove. If you love smoothie recipes, you’ll love this use for apple peels! 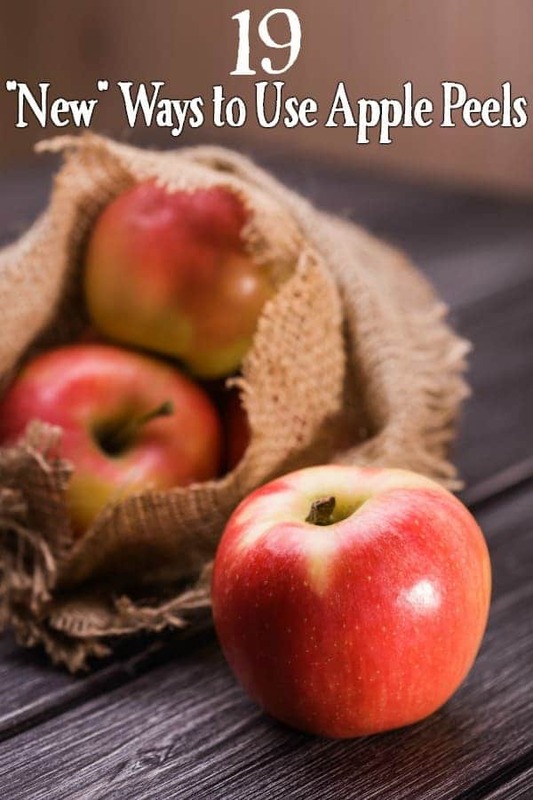 Apples, especially the peels, are very high in fiber and can give your smoothies a health boost! To use them in your smoothies, dehydrate your apple peels in a food dehydrator. Once they’re fully dry, run them through a coffee grinder until they’re a fine paste. Add a tablespoon or two of your apple peel powder to your smoothies for a boost in fiber! Loads of people make candied orange peels during the holidays, but have you ever considered making candied apple peels? They’re super simple to make! Just add equal parts cinnamon and sugar to a mixing bowl and toss your apple peels until they’re coated. You can use a bit of melted butter or water to help the mixture stick to your peels if you would like. Lay your apple peels out on a baking sheet covered with parchment paper and bake at 250°F for 30 minutes or so. Red delicious peels work best for making candied apple peels. They will roll into a stick making them an easy snack on the go! Making a salad and want to give it a pop of color? Add a few apple slices as a garnish. Not only does it look beautiful, but it adds a bit more fiber to your salad making it healthier. Just be sure your peels aren’t too large since that will change the taste of your salad. This is one of the uses for apple peels that I had never heard of until a few days ago. If you have aluminium cookware or bakeware, you know how hard it can be to get it clean sometimes. Believe it or not, apple peels can help get them clean since the acid in the apple peels can penetrate stuck on food and help it come clean easier. To use apple peels to clean your aluminum cookware, fill it with water and add apple peels. Simmer the water and apple peels for 30-45 minutes and stuck on food should come right off! If you’re looking for things to stop buying and start making, syrup is a great place to start! Apple peels and cores make a fantastic homemade syrup and allow you to use them up without wasting them. I have a jar of homemade apple syrup sitting in my fridge right now and I will tell you that it is absolutely amazing on pancakes or biscuits! Apples are a fantastic treat for dogs and so are apple peels. If you’re looking for a great treat for Fido, give him a slice or two of apple peel. Just be sure you don’t overfeed him with too many apple peels. While apples are rich in antioxidants, too many can cause digestive upset in your pup. Also, never give a dog the seeds or an apple core. Not only can apple peels give your smoothies, but they can add fiber to your favorite pancake recipe or your favorite bread recipe. Just dehydrate your apple peels, grind into a fine powder and add a bit to your recipe! Healthy living doesn’t get much simpler! We love apple cinnamon oatmeal around our home, but I hate the cost. The solution? To use apple peels and a few other ingredients to make homemade apple pie oatmeal! Since the recipe won’t call for apple peels, simply make it as stated and add a few chopped up apple peels to your bowl. Not only will it add fiber, but it will give it an additional kick of flavor! Not only can you use apple peels to make apple cider, but if you want a quicker drink, you can use them to make apple cider. Just grab a homemade apple juice recipe and your glass! you’ll be ready to enjoy in just a few minutes! If you fancy a drink, why not use your apple peels to make homemade apple bourbon? Food52 has a great recipe for homemade apple bourbon that only takes a few days to make. It uses a bottle of bourbon and your spare apple peels to create a tasty infused drink. I don’t know about you, but I get tired of drinking plain water so much, but I love infused water so one of my favorite uses for apple peels is to make infused fruit water! Just pick up a fruit infuser water bottle and add your apple peels. Before long you’ll have a sweet and tasty drink that isn’t boring at all! I am certain there are other uses for apple peels that I did not include in this post. Do you have any others? I’d love to hear them so I can give them a try! Stacy Williams is a 37-year old wife to a USAF Gulf War Veteran, mother of two teen girls and fur-mamma to a rescued pit bull. The face and brain behind the frugal living and lifestyle blog Six Dollar Family, she also owns and manages Long Haul Wife, Republic Preparedness, The Genealogy Queen and a handful of others sites. By the age of 30, Stacy had overcome a drinking problem, a drug addiction, divorce, survived domestic violence, and had built a life for herself and her daughter after spending 10 months in a homeless shelter. Stacy is passionate about homeless advocacy and addiction education. Her first book, also called Six Dollar Family is available on Amazon. 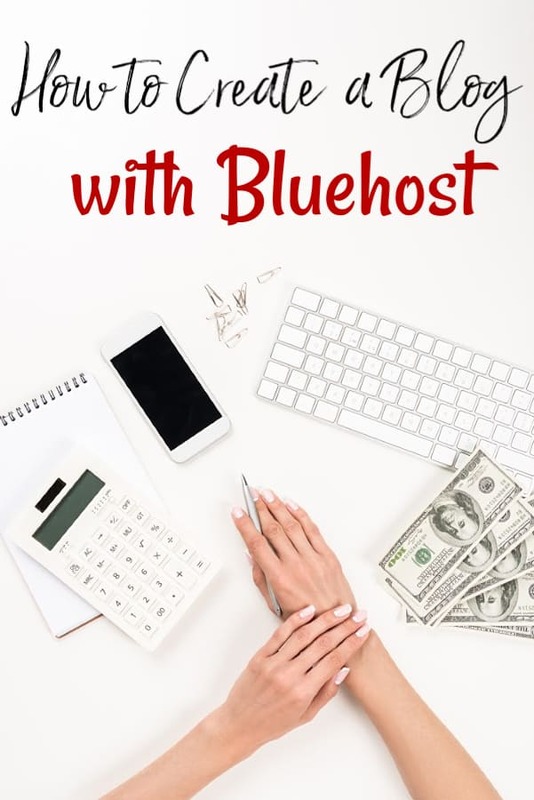 Learn how to earn a full-time income from home by learning how to start a blog just like this one! Click HERE to check out Stacy's step-by-step tutorial.